Coldwater Direct of Hingham, Mass, is recalling about 43 snow globes. The firm has received one incident report of damaged property. No injuries have been reported. 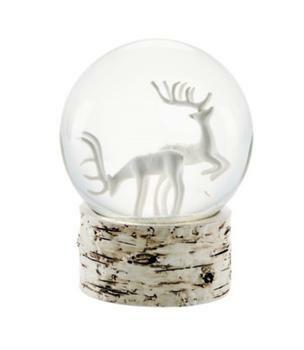 This recall involves Coldwater Creek snow globes with reindeer or a snowman inside. The Reindeer snow globe, style 13826 and model number XC7484, has two white reindeer inside and a brown and cream base with a wind-up key at the bottom. The Vintage Charm snow globe, style 13660 and model number 3WGL120, has a silver snowman inside and a silver base. The Grasslands Road logo and style number appear on separate labels located on the underside of the globe. The style number is the ninth through fourteenth digits printed on the price label. The model number is printed on the product packaging. The snow globes, manufactured in China, were sold exclusively at Coldwater Creek stores nationwide, Coldwater Creek catalog and online at www.coldwatercreek.com from October 2017, through December 2017, for about $40. Consumers may contact Coldwater Creek toll-free at 888-678-5576 anytime, by email at customerservice@coldwaterdirect.com or online at www.coldwatercreek.com.